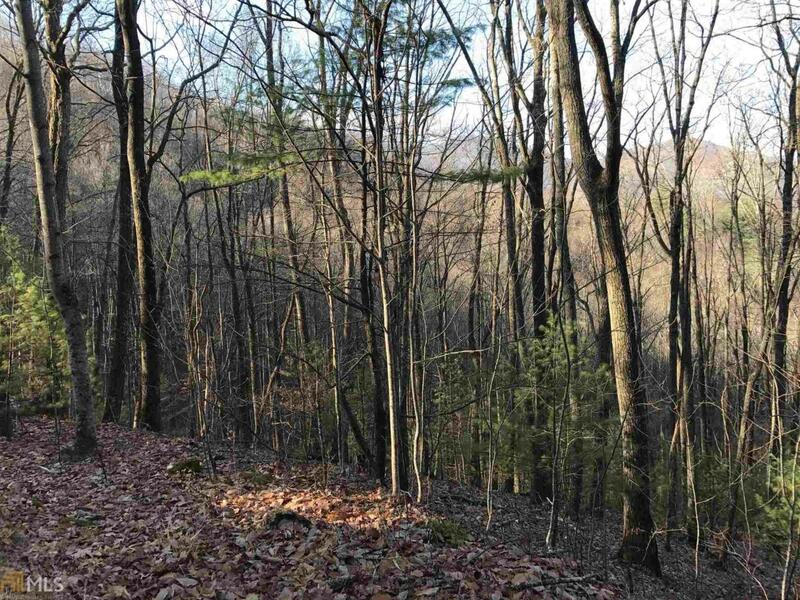 UNRESTRICTED Nice wooded 1.47 acres with paved road access. Just minutes to Blairsville and Vogel State Park and USFS. Appalachian water states the will hook property up to the community water system for $1500 tie in fee and $29/month for water needs to be verified. NO RESTRICTIONS !!!! and that is hard to find. In a desirable area Before you get to Moon Ridge & Wilson Mountain Communities on a paved county maintained road. There is an old driveway that was cut in but is overgrown now but could be improved. Perfect for a Tiny House cabin in the woods! This has a seasonal mountain view now but it could be opened up quite a bit for bigger views.